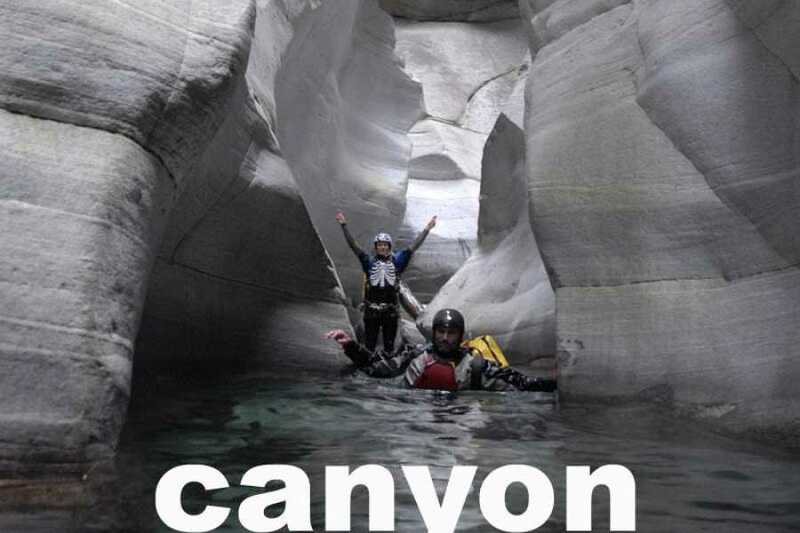 This canyoning expedition is an intense two day trip visiting some of Switzerland’s most beautiful and demanding canyons. 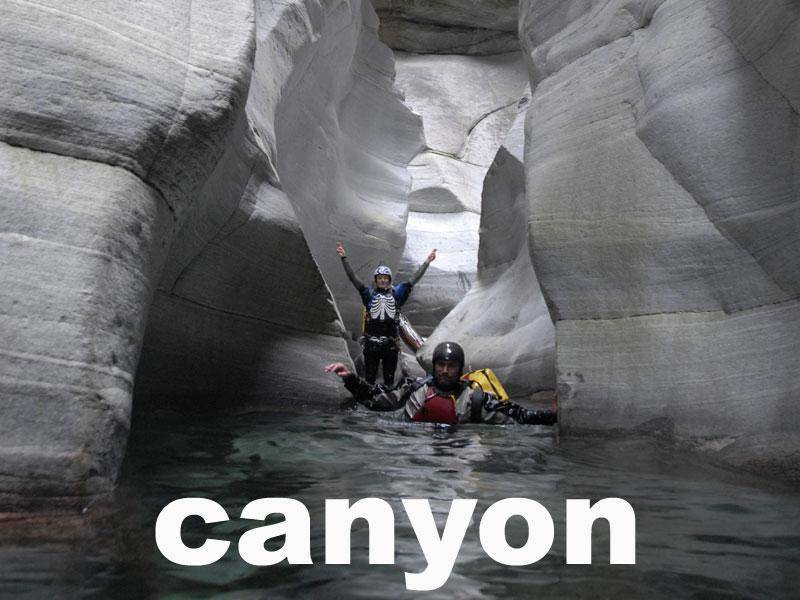 The exact canyons visited depend on weather, but at least one of the days is spent in Switzerland’s canyoning Shangri-La the Ticino region. 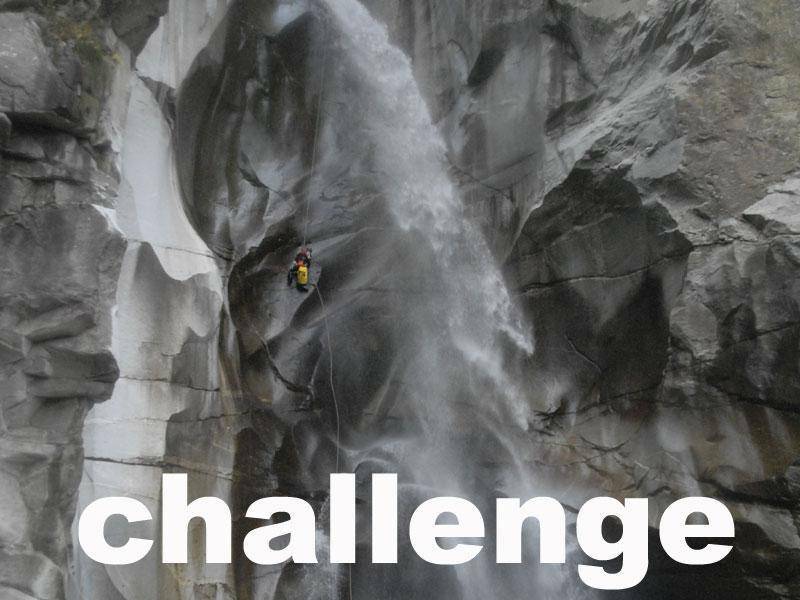 Considered one of the best canyons in the region, Chli Schliere is the perfect place to master the basics of canyoning. Under professional supervision you will learn the skills to move safely in a canyon, including proper jumping and sliding positions, and basic rappelling technique. 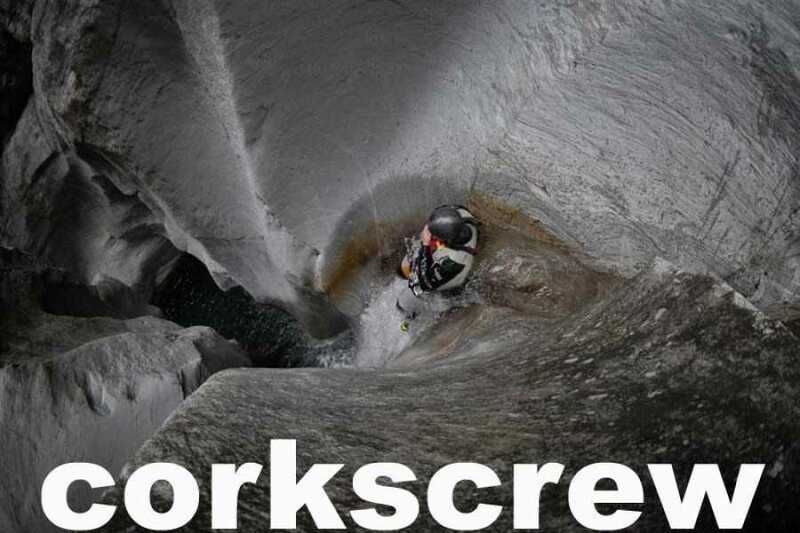 During the second day we use the skill learned in Day 1 to tackle one of Ticino’s famous white walled, emerald water canyons. 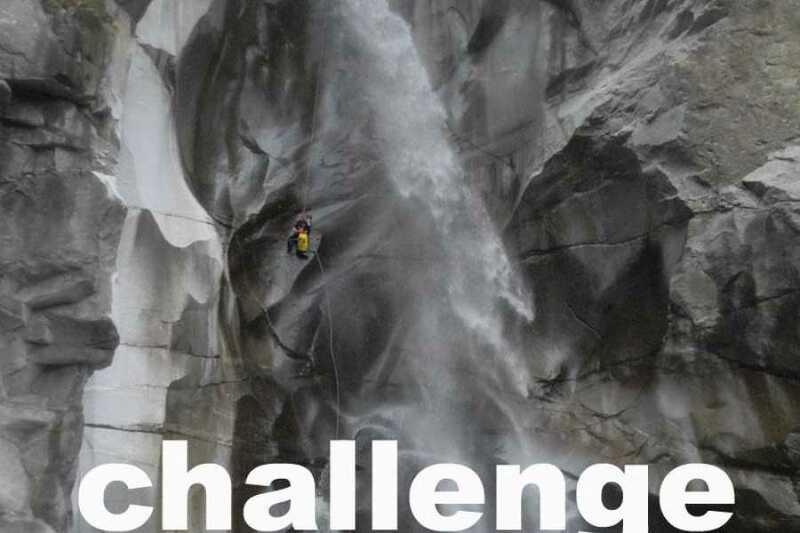 The canyon explored on the second day will depend on current weather and water conditions. Options include Lodrino, Pontirone, and Iragna. 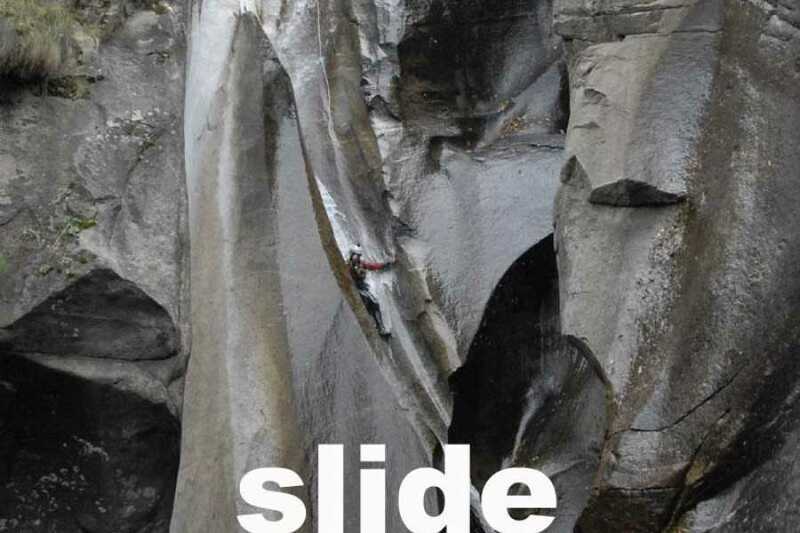 This trip visits some of the most spectacular canyons in Switzerland. 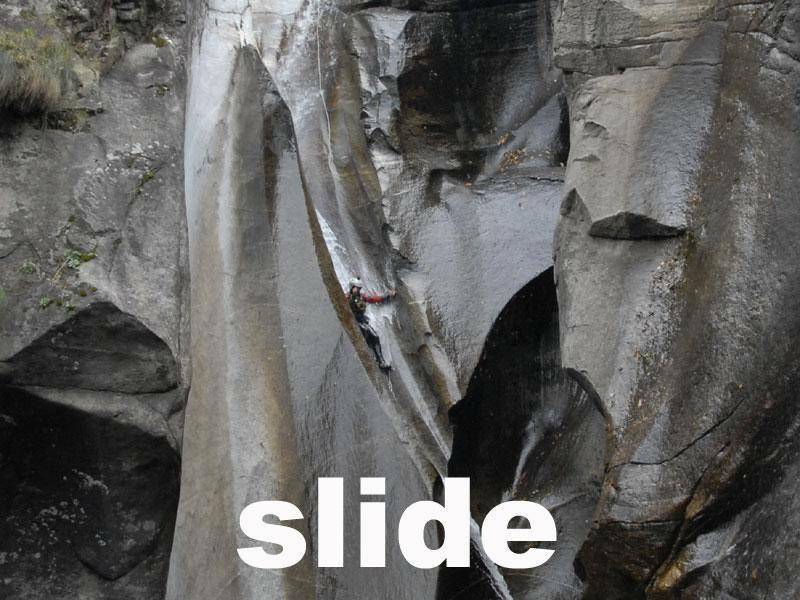 The canyons visited are technical and physically demanding with high jumps & slides. 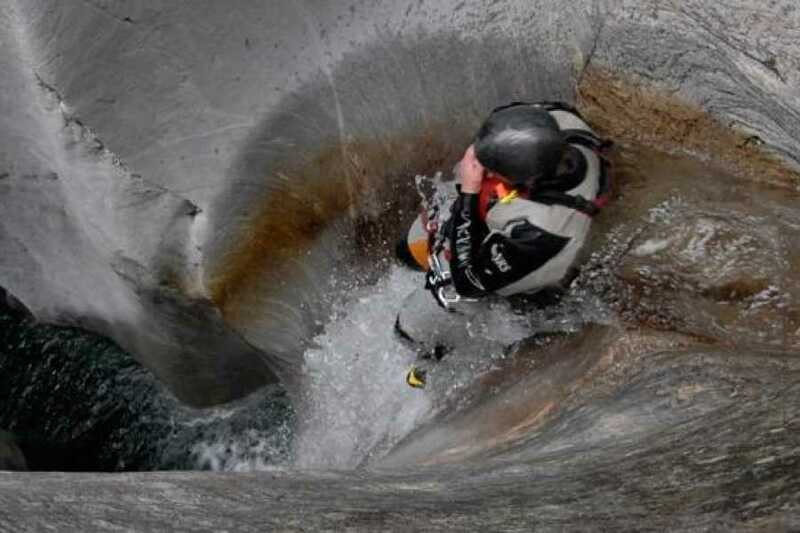 Previous canyoning experience is not required, however participants should be in good physical condition, accustomed to athletic challenges, and have no fear of heights or water. 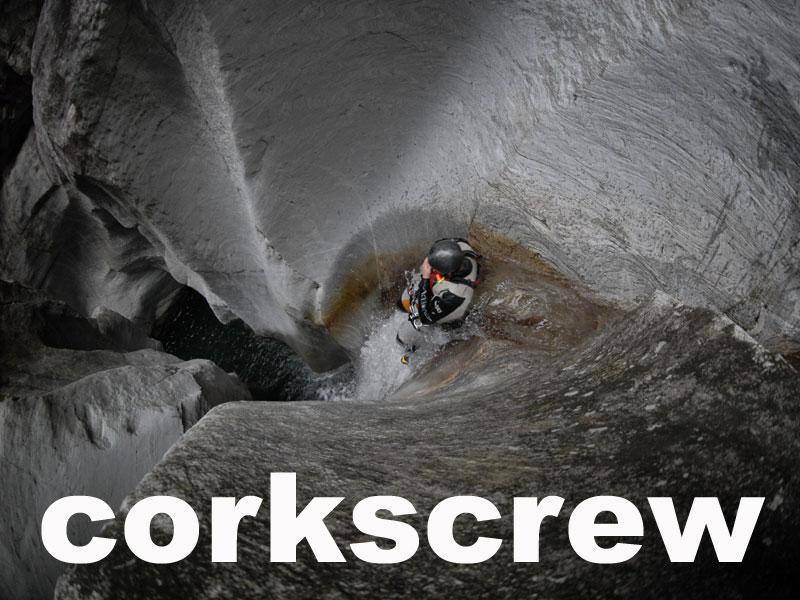 Professional canyoning guide, neoprene suit, neoprene jacket, shoes, helmet, harness, plus all equipment necessary for a fun and safe trip. Round trip transport from Interlaken to the canyons. You will need to bring a swimsuit, towel, and dry clothes for changing after the trip. You are responsible for organizing your own accommodation. You are responsible for paying for your own meals. Trip times: Every Week Tue – Wed starting Mid July.